In recent years, cloud computing has been as visible as any topic in IT. Its front-page news status has been accelerated by Amazon, Salesforce.com, Yahoo, and Microsoft®, among other firms, aggressively vying for leadership in providing cloud infrastructure or services. However, this race for mindshare has obscured cloud computing facts. 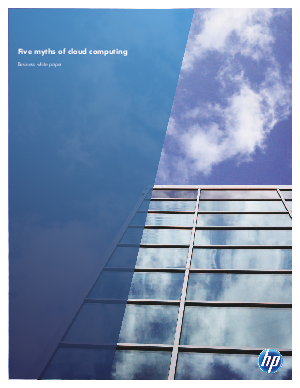 Many admit to the haze surrounding cloud computing.